Here is a simple 3 ways to lose weight fast. The most important part is to cut back on sugars and starches, when you do that, your hunger levels go down and you end up eating much fewer calories, so instead of burning starches for energy, your body starts feeding off of stored fat, thereby reducing your body fat. Another benefit of cutting sugars and starches is that reduces insulin levels, causing your kidneys to shed excess sodium and water out of your body. This reduces bloat and unnecessary water weight. It is not uncommon to lose up to 3 kg (sometimes more) in the first week of eating this way; both body fat and water weight. In Summary Removing sugars and starches (carbs) from your diet will reduce your appetite, lower your insulin levels and make you lose weight without hunger. Each one of your meals should include a protein source, a fat source and low-carb vegetables Constructing your meals in this way will automatically bring your carb intake into the of 20–50 grams per day. This has been shown to boost metabolism by 80 to 100 calories per day. High-protein diets can also reduce cravings and obsessive thoughts about food by 60%, reduce the desire for late-night snacking by half, and make you so full that you automatically eat 441 fewer calories per day — just by adding protein to your diet. When it comes to losing weight, protein is the king of nutrients Period. Eat 2–3 meals per day. If you find yourself hungry in the afternoon, add a 4th meal. 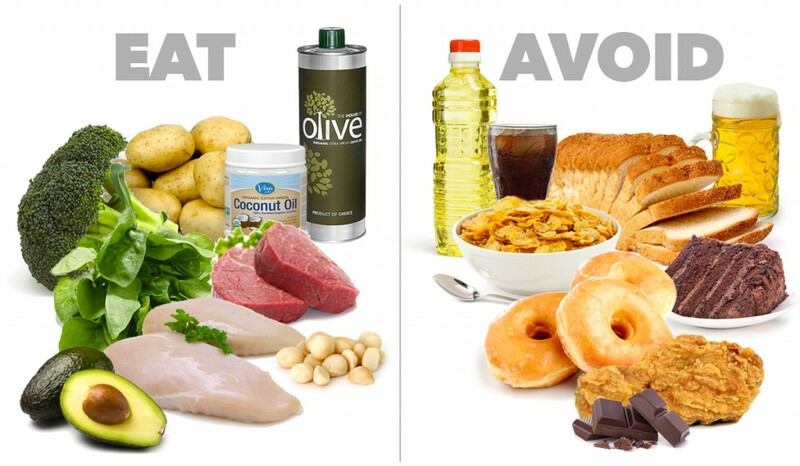 Don’t be afraid of eating fat, as trying to do both low-carb AND low-fat at the same time is a recipe for failure. It will make you feel miserable and abandon the plan.